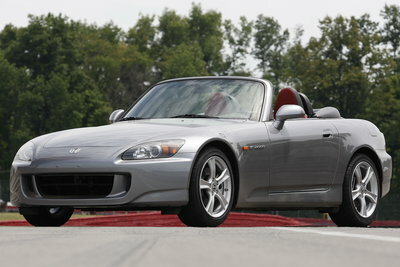 A focused sports car with nimble performance sums up the Honda S2000. This machine is for the driver who enjoys carving every apex, and is less interested in profiling down Main Street. As expected from Honda, the 2.2L VTEC I-4 cranks out amazing horsepower at stratospheric RPM. A close-ratio 6-speed manual is the only transmission. The standard torque-sensing limited-slip differential minimizes rear wheelspin. VSA (Vehicle Stability Assist) keeps the S2000 under control if the driver gets too enthusiastic.